At the Grotto on the campus of the University of Notre Dame, hundreds of votive candles burn brightly night and day as expressions of prayer for special intentions. The living flame of each candle is a beautiful symbol of both prayer and of hope. 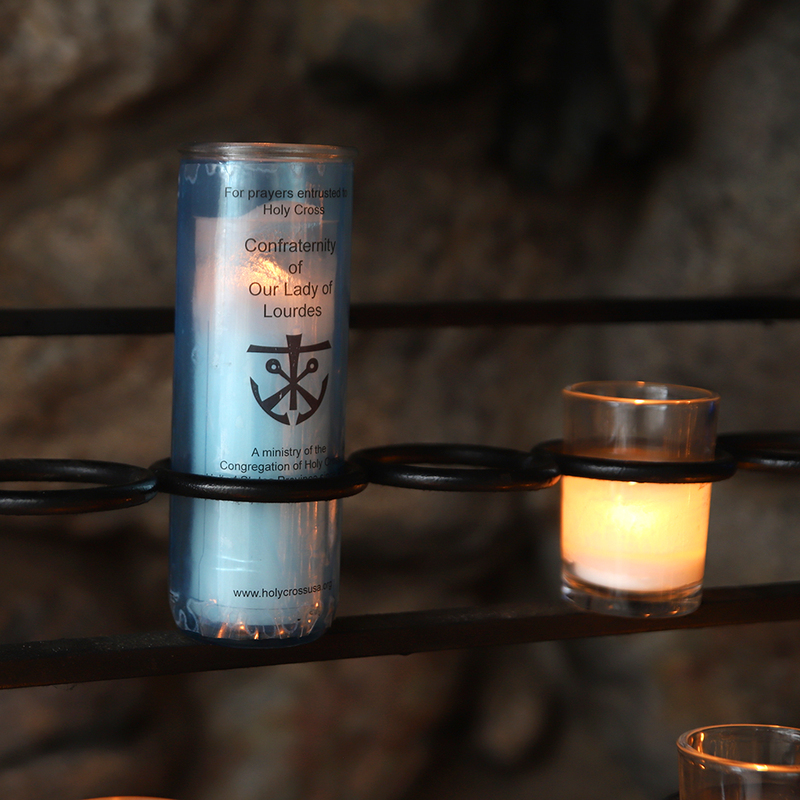 At the Grotto, we maintain one special perpetual candle that symbolizes and commemorates the special needs and intentions requested from our community of faith who participate in the Confraternity. You can join your intentions in this perpetual votive candle by completing the online form below. The offering for the perpetual candle is entirely up to you. For those who want some idea of what to give we suggest an offering of $5.00. Your prayer intentions are lifted up at the Grotto by the countless faithful who visit to pray and by members of the Congregation of Holy Cross whose mission it is to pray daily for our benefactors and supporters. If you would like to mail in your offering, please call us at 574.631.6022 or contact us online and we can mail you a form. If you have any questions or concerns while making your donation online, please also feel free to contact us.